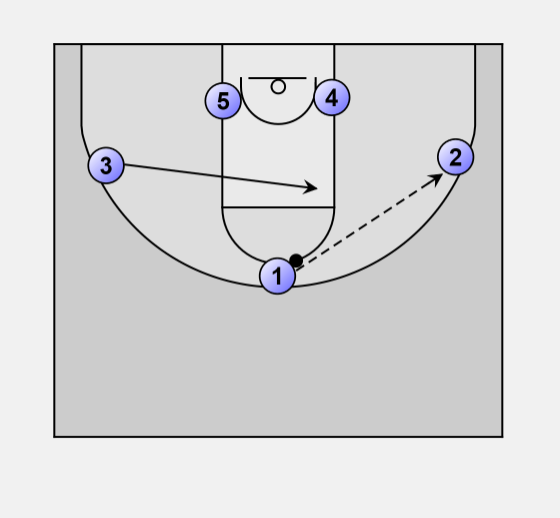 Start with a 1-2-2 set, forwards wide centers close to the bucket. 3 comes across to the elbow. 2 looks in to 4 or 3. 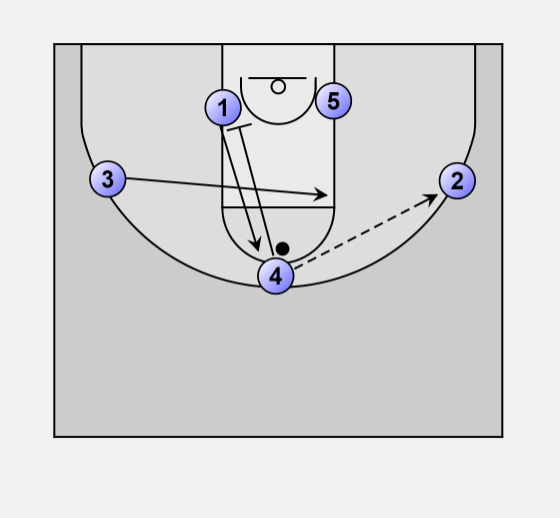 If neither is open, 2 passes to 5 coming to the top off a screen from 1. 5 looks in to 1 or 4. 5 passes to 3 as he moves back out on the wing. 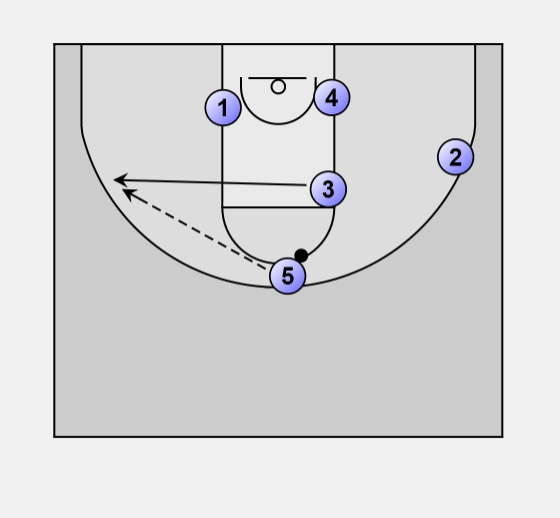 When 3 receives pass, he looks to 1 at the short corner or to 3 at the elbow. 5 screens down for 4 coming to the top. 3 passes to 4 at the top. 2 then begins to slide back to the wing. After the next sequence the play is now back at the beginning with the big men on different sides of the lane.